Okay, it's finally done. Finito. It's a wrap. 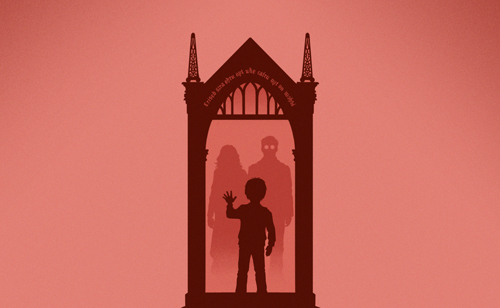 The Harry Potter franchise poster project is complete. 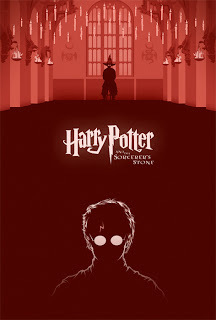 For some reason, this one for Harry Potter and the Sorcerer's Stone has been the one that caused me the most trouble from the beginning. I don't know what it exactly is that's made it so difficult. Maybe it's that the main conflict/defining moment from the film, which is something I've generally focused on in the top section of these posters, is simply not that big of a deal in the film. Most of the running time is spent introducing and building the world. 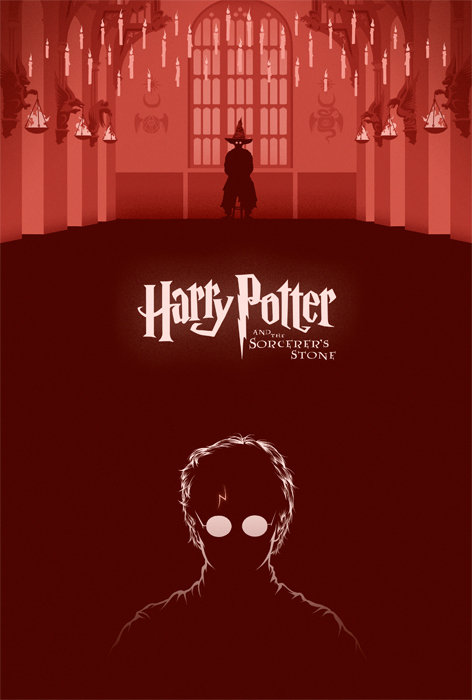 My first run at Sorcerer's Stone was based around the showdown between Harry and Quirrell/Voldemort in the chamber where the Mirror of Erised is kept. Although I liked the imagery of Lily and James Potter in the mirror and what that means to Harry, I felt everything surrounding it was a bit boring. So after abandoning that idea, I decided to focus on a different important moment: when Harry is sorted into Gryffindor by the Sorting Hat. It's in this moment that Harry's fate for the next seven years is essentially decided. 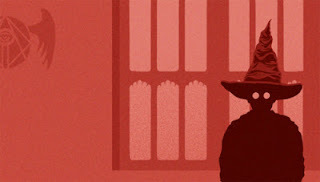 Rather than crowd the Great Hall scene with all of the students at their House tables or the professors at their table at the back wall, I made it so that Harry was like the only person in the world in that moment. I've loved the look of the Great Hall set from the very first film onwards and was very excited to draw it. With this one done, the complete series of posters has been compiled into one big image...all eight films from Sorcerer's Stone to Deathly Hallows Part 2! 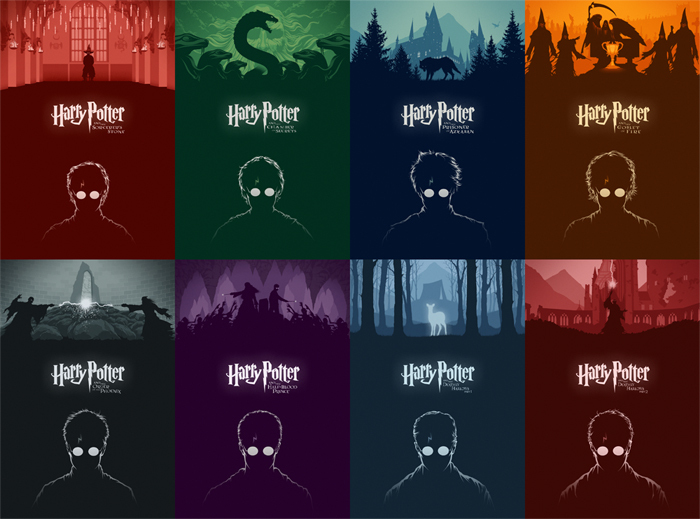 In this image, it's especially clear how Harry is growing up through each poster. I'm terribly pleased with the way that the whole series has turned out. It was a great exercise in style as well as a commitment to an extended project. Thanks for sticking with me throughout this whole series!